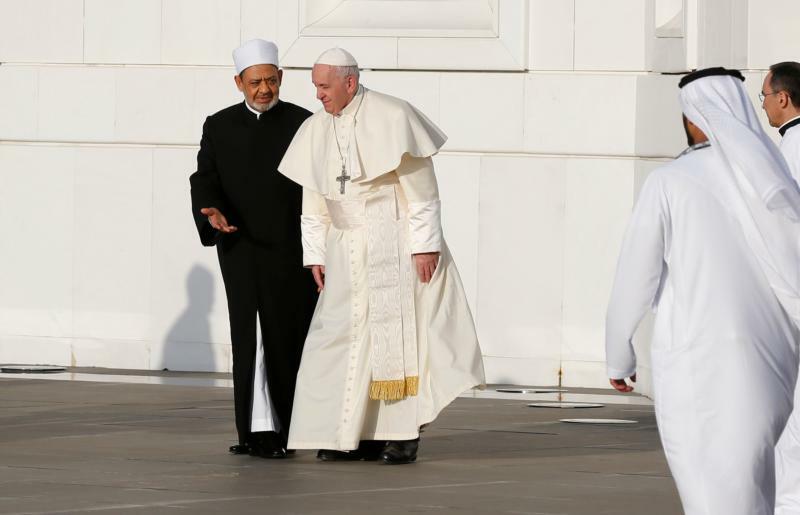 ABU DHABI — Pope Francis came to the United Arab Emirates to attend an interreligious gathering taking place in Abu Dhabi. He is not the only heavy-hitter addressing the event, Patriarch Kirill of the Russian Orthodox Church, although not attending the Human Fraternity Meeting, sent a message to the conference condemning using religion as a basis for violence. The conference is taking place in a Muslim-majority country where religious minorities are “tolerated” but do not have full religious liberty. Kirill noted that the Middle East has seen all forms of extremists, hiding behind religious slogans and it’s also suffered the conflict of geopolitical interests in various countries. Some 700 religious leaders are participating in the summit, with delegates from other Christian denominations as well as Jewish, Hindu, Sikh and Buddhist leaders. On Sunday, hey explored topics such as interreligious dialogue, oppression of religious communities and ways to tackle extremism. Archbishop Machado, who served as Under-Secretary of the Pontifical Council for Interreligious Dialogue at the Vatican from 1999-2008, is attending the gathering as a guest of the Muslim Council of Elders. Muslims, he said, have moved to “tolerance,” a word he defined as positive despite its possible negative interpretations. Archbishop Machado added that he wants to see Muslims keep up the “tempo” of the dialogue that took place in Abu Dhabi, and added that the papal visit will help all Christians in the region. Politicians are important. We need to pray for their well-being and health.